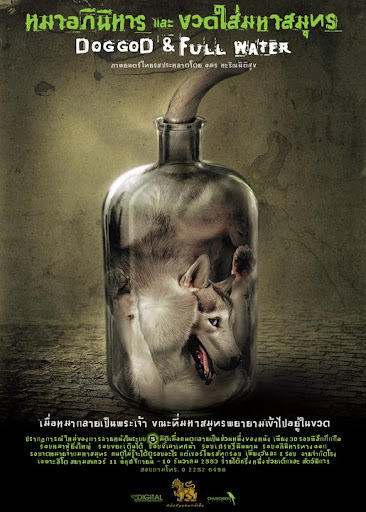 A Thai indie social drama, Dog God and Full Water (Mah Apiniharn Lae Khuad Mahasamut, (หมาอภินิหารและขวดใส่มหาสมุทร), gets a limited release this week at the Lido cinemas in Bangkok's Siam Square. Directed by Amorn Harinnitisuk, the movie tells various stories about the stratas of Thai society. Among the characters are an impoverished mother and child living in the Sanam Luang area of Bangkok. Their lives take a dramatic turn when they find a diamond ring. Another is a heartbroken man who’s lost faith in humanity and wants to be a dog. The movie is screening once daily from November 11 to December 10 with a different concept everyday. Check the Apex website for showtimes. Part of the box-office proceeds will be donated to charities. There's a trailer at YouTube and you can watch it here.